O’Sullivan, who served as Commissioner between 2014 and 2017, had claimed she was defamed by the Irish Examiner. THE HIGH COURT has dismissed an application by former Garda Commissioner Noirín O’Sullivan for an order allowing her to bring a defamation action against the Irish Examiner newspaper. In September, O’Sullivan applied to the High Court for an order permitting her to extend the time legally allowed to bring defamation proceedings against the newspaper. In a judgment today, Justice Teresa Pilkington refused to grant O’Sullivan an order allowing her to issue defamation proceedings outside the statutory limit of one year. The Jude said that O’Sullivan had said she did not bring the proceedings any earlier than she did because the former commissioner did not believe herself to be in a position to consider the matter from the date of publication until the conclusion of the Disclosures Tribunal. The Judge said that those reasons, while sincerely and genuinely held, are “insufficient to disapply the one-year statutory limit. Regard must be given to the time limit laid down by statute. O’Sullivan, the judge added, could have instituted proceedings within the statutory time limit. The Judge added the interest of justice require that no direction be given to dis-apply the one-year statutory time limit. The judge said that she was further satisfied that the prejudice to the plaintiff in being prevented from bringing the action against the newspaper does not significantly outweigh the prejudice to the newspaper in losing its statute of limitation defence. The allegations in the article were raised in the Dáil by Micheál Martin, and shortly afterwards an inquiry into the disclosures was ordered by the Minister for Justice. In February 2017, the government announced that a Commission of Inquiry conducted by Justice Peter Charleton would consider the claims in the disclosures made by Superintendent Dave Taylor and Sergeant Maurice McCabe. O’Sullivan claimed she had not brought proceedings alleging defamation earlier because she was under the most intense strain from when the article was published to the conclusion of the public hearings of the Disclosures Tribunal. She said in a sworn statement that she feared the article and others will stand as a permanent record of the “horrendous and false allegations about me”. The newspaper, represented by Oisin Quinn and Shane English, said it was only contacted by O’Sullivan’s lawyers in September 2018, one year and eleven months after the article she complains of was published. Denying it had defamed the former commissioner the newspaper said it published the contents of what two gardaí had made in protected disclosures to the Minister for Justice about an alleged campaign to damage a garda whistleblower. The newspaper added the story was dramatic news and hugely in the public interest given the concerns it raised, and that O’Sullivan was not named nor identified in the article as being one of the senior gardaí against whom allegations were being made in the protected disclosures. Email “Judge dismisses former Garda Commissioner O'Sullivan's defamation application ”. 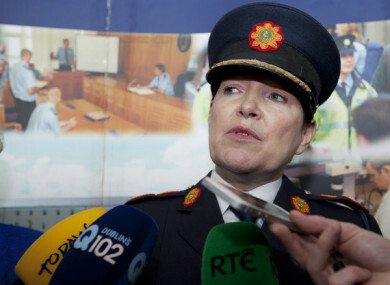 Feedback on “Judge dismisses former Garda Commissioner O'Sullivan's defamation application ”.